Is investing in IPOs profitable? 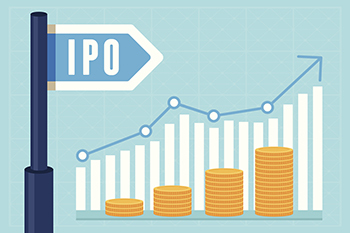 A deluge of Initial Public Offerings (IPOs) hit the market when the market is in a bull run and investors clamour to subscribe to most of these IPOs, hoping to make a kill on listing. But IPO investors do not always make profit all the time as has been proved time and again and, in fact, in many of the IPOs, investors have burnt their fingers and suffered huge losses. Yet the herd mentality of the investors drives them to subscribe to the IPOs. Of course, there is no denying the fact that there have been many IPOs that have given investors huge returns in the past, but these are honourable exceptions rather than the rule. The fact remains that most of the IPOs provide negative returns when markets have gone into bearish phase. The crux of the matter actually lies here. Promoters and initial investors usually come out with IPOs during the bull runto cash in on the booming market and get a handsome price for their shares. Since the boom in the market conditions create huge demand for IPOs, these IPOs get oversubscribed many times over. Due to the huge demand for stocks in the market, the stock prices may become inflated during the bull runand some of the IPOs may provide good returns to the investors on listing. But once the market conditions turn bearish, the inflated prices of these stocks slump, leaving the investors in a lurch. Some of the notable booms and busts were the dotcom boom of 1999 that bust in 2000, real estate and infra boom of 2007 that bust in 2008 and the recovery of 2010-11 that petered out in subsequent years. The market has witnessed a bull run since 2015 and we have had large number of IPOs during 2015 and 2016. The boom is still continuing in 2017. Therefore, the moral of the story is that investors should not chase the IPOs blindly and need to be choosy while subscribing to the IPOs. They need to do proper homework and subscribe only to the IPOs of the companies that have great business model and are fundamentally sound and in good financial health. Only then they can expect to get good returns on their investments.